LBDRC is an organization headed solely by former care partners of people with Lewy Body Dementia. Our board members consist of experts in the field of LBD as well as professionals who have been affected by a family member with the disease. Norma’s knowledge and experience with Lewy Body Dementia began with the personal care of her mother, Lillian, who had LBD for many years. Lil is the inspiration behind the founding of LBDRC. 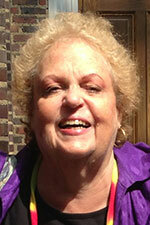 Norma had facilitated the only two LBD support groups in New York–in Manhattan and Nassau County–for 10 years. She served on the board of the Lewy Body Dementia Association for three years before launching LBDRC to provide much needed resources on local levels. Norma also ran the eldercare group at The New York Times Company where she worked as executive assistant to the CFO for over 20 years. Her expertise in handling the daily priorities of top executives at The Times, as well as her managerial experience as executive director of the nonprofit organization, What BETTER Looks Like, has prepared her to direct this large project which is very dear to her heart. 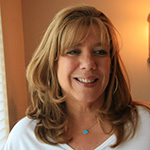 Suzanne earned her Master’s Degree in Social Work from Adelphi University. She currently works as a social worker at Townhouse Center for Rehabilitation & Nursing in Uniondale, NY where she oversees the dementia unit. Suzanne understands Lewy Body Dementia extremely well since–not only is it the disease her father had—but because she helps people with LBD and their families on a daily basis. Her ability to pinpoint areas that need addressing immediately is a huge asset, as are her multiple contacts within the healthcare industry. Marisa graduated with an individualized B.A. from NYU’s Gallatin School– Paradigms of Life: The Human Condition–and earned a Master’s Degree in Communication and Film from New York University. 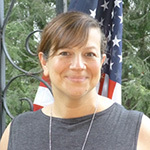 A director, teacher, writer and producer, she was the Director of Arts programming at Holy Trinity Cathedral School in NY and founded and ran arts programs and festivals as Artistic Director of the Dalton School’s Greek festival . She teaches music, art, writing and creative drama which she connects to therapeutic practices combining and adapting them specifically for people with Lewy Body Dementia and other dementias with significant results. She is currently furthering her drama therapy knowledge at Creative Alternatives of New York, is a certified Reiki Master and also trained in Cherokee healing and massage. When Marisa’s mother was diagnosed with Lewy Body Dementia, she was devoted to her care and learned hands on and through extensive research how to manage many aspects of this difficult disease. Marisa’s mother passed away from LBD three years ago. She is determined and excited to develop programs for people with LBD and their care partners to give them a better quality of life. Ileene attended nursing school at Thompson School of Nursing in Brattleboro, Vermont. She worked as a surgical nurse for multiple doctors at St. Francis Hospital in Roslyn, New York where she gained knowledge and insight about various illnesses and treatments, many of which included neurological diseases such as Alzheimer’s disease and other dementias. When Ileene’s mother was diagnosed with Lewy Body Dementia, her focus then became her mother’s care. Ileene learned the best ways to handle this difficult disease through trial and error, research online and many years in the LBD support group. She now teaches about LBD to many others through networks on Long Island. Susan worked in publishing for 16 years at New York Magazine as Promotion Coordinator & Producer, and then at Time, Inc. where she was responsible for the Editorial/Art/Production departments for all editions of Fortune Magazine. Susan then worked in the Massapequa School District as a Teaching Assistant for 15 years where she developed and implemented teaching strategies for children with learning disabilities. She was the primary caregiver for her parents and aunt in the last years of their lives, providing and overseeing their medical, personal, financial and day-to-day care. Her mother suffered from Lewy Body Dementia for more than 12 years. Susan was a staunch advocate for maintaining her mother’s ongoing care and treatment which she found very difficult to achieve as there weren’t any local resources from which to get answers to many situations that needed immediate resolution. She is eager to help people with LBD and their families navigate with greater ease the challenges they are going to experience in providing optimal care, helping to maintain dignity, and addressing quality of life issues because this disease is so difficult to manage. Patricia is a contributing editor at Vanity Fair, is an award-winning journalist and bestselling biographer and memoirist. Born in San Francisco and based in New York City, she is a graduate of Sarah Lawrence and a winner of the Front Page Award. Patricia has taught literary nonfiction at Columbia School of Journalism, where she was a Senior Fellow in the National Arts Journalism Program, and at Barnard College. A longtime board member of the Actors Studio, she ran the Playwrights-Directors Unit there. Her new book, The Men in My Life: A Memoir of Love and Art in 1950s Manhattan, was released in paperback by HarperCollins in January 2018. Her first memoir, Anything Your Little Heart Desires: An American Family Story, was about her family and the Hollywood Blacklist. She is also the author of biographies of Montgomery Clift, Marlon Brando, Jane Fonda, and the photographer Diane Arbus. Her Arbus biography inspired the 2006 film Fur, starring Nicole Kidman and Robert Downey Jr. Her newest book, Dreamer With a Thousand Thrills: The Rediscovered Photographs of Tom Palumbo was released in March, 2018 and is in honor of her late husband Tom Palumbo who had Lewy Body Dementia. An internationally known expert and thought leader on Lewy Body Dementia, Alzheimer’s disease and other forms of dementia, Dr. Galvin is a Professor and Associate Dean for Clinical Research at the Charles E. Schmidt College of Medicine at Florida Atlantic University. He is the Executive Director of the Institute on Healthy Aging and Lifespan Studies at Florida Atlantic University. 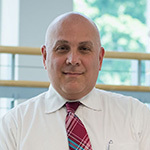 He is the Founding Director of the Comprehensive Center for Brain Health, a transdisciplinary collaborative model to provide world class clinical care and cutting edge research for patients and families with neurodegenerative disorders. Prior to his move to Florida, Dr. Galvin was professor of neurology and psychiatry at New York University Langone Medical Center. Dr. Galvin received his BA in chemistry from New York University, his MS in nutrition from Rutgers University, his MD from the University of Medicine and Dentistry of New Jersey, and his MPH from St. Louis University. He has published more than 200 scientific papers covering basic, clinical and translational science in the areas of neurodegenerative disorders, dementia and cognitive aging; is the editor of two textbooks on dementia; and leads numerous clinical trials investigating new therapeutics for neurodegenerative disease. His research has been funded by the National Institutes of Health, Centers for Disease Control, Alzheimer’s Association, Association for Frontotemporal Degeneration, Michael J Fox Foundation, American Federation for Aging Research, and numerous private and family foundations. Ted is Chairman of RKO Pictures Corporation and President of RKO Stage. Over the last 15 years, Ted has produced over a dozen films for RKO Pictures and has expanded to producing shows on Broadway. His most recent stage production, TOP HAT, opened on London’s West End in the spring of 2012 and won the Olivier Award for the Best New Musical of 2013. He also serves as Chairman of ORBIS International, a health NGO that prevents blindness worldwide through its flying eye hospital programs. Ted was educated at Annapolis, Georgetown University and Harvard Business School and was a former Navy Fighter Pilot. 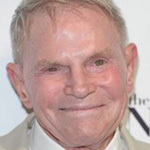 He became President of Southwestern Development Corporation but left to pursue his love of film, first acting in various co-star roles before starring in two TV series. He then moved on to directing and producing. He is a published writer of articles and poetry and is a voting member of the Academy of Motion Picture Arts. Ted was married to heiress, actress and philanthropist Dina Merrill before her passing in May, 2017 from Lewy Body Dementia. Elizabeth Nochlin is a native New Yorker who has dedicated her career to helping others. She spent 14 years as an Assistant District Attorney under Manhattan District Attorney Robert Morgenthau, and two more under New York State Attorneys General Spitzer and Cuomo. Elizabeth is now a banking enforcement lawyer. She cared for her beloved mother who suffered from Lewy Body Dementia, and takes care of her 8 year-old son and 12 year-old stepson. She is able to manage all of this with the strength and support of her husband, Tom. Dr. Shanker is the Program Director of the Mount Sinai Downtown Neurology Residency Program and an Assistant Professor at the Icahn School of Medicine at Mount Sinai. She is the Site Director for the Mount Sinai Medical Student Neurology Clerkship and a member of the Mount Sinai Graduate Medical Education Committee. Dr. Shanker completed her Neurology training and Chief Residency at Montefiore Hospital at Albert Einstein College of Medicine in addition to a two year fellowship in Movement Disorders at Beth Israel Medical Center. She is the recipient of a PSG fellowship grant and served on the PSG Mentorship Committee. Dr. Shanker has a practice solely focused on the care of patients with Movement Disorders and is involved in the training of Movement Disorder fellows. She has contributed to several articles in peer-reviewed journals as well as authored several book chapters. Dr. Shanker is the course director for the “Approach to the Shaky Patient” at the Annual Academy of Neurology meeting and co-director of the CME course “Advances in Movement Disorders” at Mount Sinai. She is the recent recipient of the 2017 Cullman Family Award for Excellence in Physician Communication, the ACGME’s 2017 Parker J. Palmer Courage to Teach Award, and the 2017 American Academy of Neurology’s Program Director Recognition Award. Barbara is a licensed social worker with an advanced credential in gerontology and has been working in dementia care for the past ten plus years. 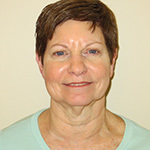 Currently, Barbara is the Social Work Coordinator for the Department of Geriatric Medicine and Palliative Care, as well as the Program Coordinator for the Center for Memory Disorders, in the geriatric psychiatry outpatient clinic at Zucker Hillside Hospital, both part of the Northwell Health Care System. As part of the interdisciplinary team, Barbara addresses the psychosocial needs of dementia patients and their caregivers and provides referrals for community resources. Barbara also facilitates weekly caregiver support groups for both spousal and adult children caregivers. She is an advocate for raising awareness about dementia, and has presented at numerous conferences and workshops. 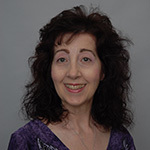 Barbara co-authored the article: “Supporting Community Caregiving for a Spouse with Dementia: Research with Implications for Practice” and the book, I Do: Memoirs of Marriage with Dr. Gisele Wolf-Klein. 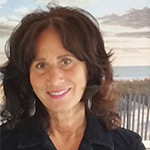 Barbara currently serves on the board of the Long Island Chapter of the Alzheimer’s Association and the Advisory Board of Monica’s Manor, group homes for men recovering from alcohol and drug addiction. 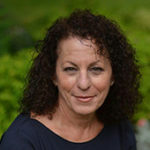 Prior to joining the North Shore/Long Island Jewish Health Care System, Barbara was the Director of Social Work for the Long Island Alzheimer’s Foundation in Port Washington. 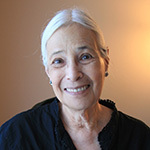 While at LIAF, she collaborated with the Sid Jacobson JCC to develop the social model adult day program, “Let’s Do Lunch” for young onset dementia clients (under the age of 60 years old) and, subsequently, the dinner program, “Let’s Do Dinner” for the spouses of the young onset clients. 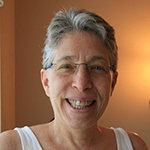 Yael is an adult and geriatric nurse practitioner and has been a nurse for over 10 years. From 2010-2015, she worked at the NYU Pearl Barlow Center for Memory Evaluation and Treatment and developed an expertise in treating and managing patients with Lewy Body Dementia under the expertise of Dr. James Galvin. She has published and presented on LBD, specifically about the impact of the disease on patients and their families. She ran a support group for LBD spouses and provided individualized support and counseling to address the unique needs of LBD patients. Yael is currently a member of the geriatric consultation service at NYU Langone Medical Center where she helps to manage geriatric issues including dementia and delirium in the inpatient setting. Dr. Zwerling is a neurologist with board certification in neuromuscular disease and NIH T32 research/clinical fellowship training in cognitive neurology. 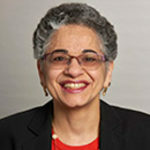 Her career has focused on identifying risk factors for cognitive decline and dementia, as well as factors that promote successful aging, with a focus on underserved populations. 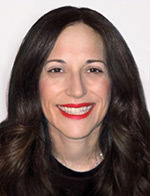 She is the Associate Director for the Center for the Aging Brain and the Director of the Memory Disorders Center at Montefiore Medical Center and has been mentoring the next generation of geriatric neurologists over the last two decades. She is the Project Director for the Hudson Valley Region Center of Excellence for Alzheimer’s Disease. Dr. Zwerling has developed the clinical and didactic programs used to enhance health professionals’ capacity to screen, diagnose and develop personalized plans of care for patients with Alzheimer’s and related dementias for the Montefiore Health System. Dr. Zwerling serves as the Fellowship Director for the UCNS accredited Geriatric Neurology Fellowship at Montefiore. She has received multiple grants from the Leslie R. Samuels and Fan Fox Foundation for work in memory and gait in the field of health disparities research. In addition, Dr. Zwerling is the site leader for the HRSA (Health Resources and Administration) Grant focusing on an interprofessional, multi-modal educational intervention entitled “Clinical/Community Partnership to Expand Primary Care of Older Adults (CC-PCOA).” She provides a comprehensive Alzheimer’s Disease and Related Dementias (ADRD) program to address the needs of providers, patients’ families and caregivers through community support networks and educational materials and resources. 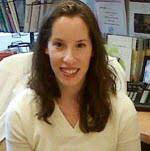 She is the Clinical Director of the Einstein Aging Study and has been with the study since 2004. Additionally, Dr. Zwerling serves as the Director of Neurodegenerative Trials and has been a leader in PET scanning biomarkers as well as the use of technology assisted programs for patients/caregivers with memory disorders at Montefiore. Jamie is author of the critically acclaimed memoir, Dangerous When Wet, which is partly about his larger-than-life Texas mother, Mama Jean, and chronicles her decline and death from Lewy Body Dementia. 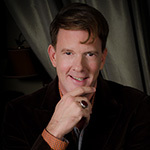 His writing has appeared in publications such as The New York Times, International Herald Tribune, Salon, Out, Amtrak’s Arrive, and he is a guest blogger for the Huffington Post. Jamie is also a performer and is a two-time StorySLAM champion of The Moth, the acclaimed, not-for-profit worldwide organization dedicated to the art and craft of storytelling. He is founder and CEO of redBrick Agency, a lecture bureau for authors, and lives in New York City with his common law husband Michael. Robin held several positions with increasing responsibility over her 28 year career at MTA New York City Transit until she retired in 2010. Two of her critical positions were as Project Manager of the rebuilding of multiple subway car classes and as the Assistant Chief Mechanical Officer of Quality Assurance and Warranty Control for the Division responsible for MTA New York City Transit’s subway cars. 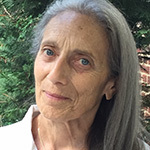 Robin is a community activist in Greenwich Village and serves on several Boards including the Jefferson Market Garden and 33 Greenwich Avenue Owners Corporation. She brings her personal experience with Lewy Body Dementia that she gleaned during her years of caregiving for her father who suffered with the disease. 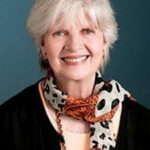 Anne is a retired film Production Accountant and currently continues with her own business of Financial Consulting and Income Tax Preparation for the Arts, which she has done for over 35 years. She is a member of Community Board Three, Manhattan, and Chaired that Board from 1988 to 1990. In addition, she is on the board of the New York Production Alliance, an organization that promotes the film and television industry in New York. 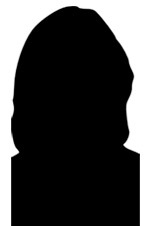 She is a member of New York Women in Film and Television, and is a retired member of I.A.T.S.E. Local 161, and was the President in 2001. Anne has been a long time community activist, has fought for affordable housing, better schools, better health care, and against gentrification. She was the primary caregiver to her husband Charles who had Lewy Body Dementia and passed away in April, 2016. Laura Kramer-Carini was born, and still lives, in Brooklyn. Not long after retiring from the Department of Education, her elderly father (now 98) was diagnosed with LBD. Laura spent her professional life teaching English for eight years at CUNY and over 30 years in NYC’s first “alternative” high school, Pacific High. Having been reared with a strong sense of political/social activism, her high school “kids” were a population in great need: dismissed from other high schools, over-aged, under-credited, but still possessing the drive and intent to graduate. It is that perseverance which colors all that she cares about. Her father’s diagnosis of Lewy Body Dementia late in his long life, and his persistence–his not-giving-up–inspires and moves her. 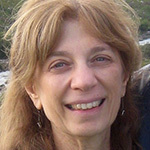 Phyllis is currently director of the Center for Inquiry, the professional development center of the New York Performance Standards Consortium. A teacher for several decades in the NYC public schools, she has taught English and writing, helped begin small schools, developed curricula, and published student writing, as well as her own. She is the editor of Active Voices II and Hispanic, Female and Young and the creator of books and DVDs for the Teacher-to-Teacher series. Her husband, at one time a talented and creative photographer, passed away from Lewy Body Dementia in February, 2017. Marilyn Davret is an M.A. graduate of Occupational Therapy from NYU, a member of the American Occupational Therapy Association, and the National Board of Occupational Therapists. An experienced Occupational Therapist, specializing in adult and geriatric care, she has worked with LBD patients and creates a program tailored to individual needs. She works part time as a Physical Therapist advisor for the JCC Center in East Hills, NY. 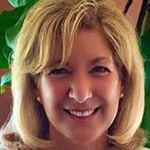 She also works privately with patients who need care at home, acute care, or are in outpatient rehabilitation facilities, hospitals and assisted living residences. Marilyn handles assessments and provides advice on equipment needs and modifications to improve daily tasks. Her expertise includes a variety of conditions including multiple sclerosis, head trauma, Parkinson’s Disease, upper extremity orthopaedic problems and arthritis. She works with families to increase participation of daily activities and to improve motor, perceptual and cognitive functions. 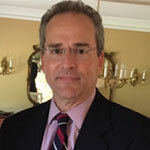 Dr. Rubin is a practicing ophthalmologist with an office in Bethpage, New York. He received his medical degree from New York Medical College and ophthalmology residency training at the New York Eye and Ear Infirmary. Dr. Rubin was chief of the ophthalmology department at the former Mid Island Hospital. He is a member of the Nassau County Medical Society and the Long Island Ophthalmological Society. He is an attending physician in the Northwell hospital system and helps train residents in the eye clinic of the Northwell system. Castle Connolly has listed Dr. Rubin as a top physician in the New York metropolitan area for many years. His mother has Lewy Body Dementia. 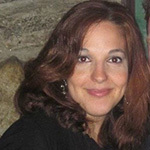 Danielle holds a Bachelor of Science in Applied Psychology from New York University’s Steinhardt School of Culture, Education and Human Development and a Master of Science in Social work from Columbia University’s School of Social work. Licensed by the State of New York as a Licensed Clinical Social Worker (LCSW) and Credentialed Alcoholism and Substance Abuse Counselor (CASAC), she is currently a Mental Health Therapist at the Westchester Medical Center BHC in Valhalla, a geriatric care facility. She uses her skills in crisis intervention and brief therapy to address acute needs of individuals and deescalate potential threats to the therapeutic milieu. Part of her function is to identify appropriate after-care to ensure safe discharge and return to the community. She also leads psycho-educational groups to enhance mental health wellness and is practiced and adept with counseling/educating families. She was formerly a social worker at the Renaissance Project where she was in charge of high-risk dual diagnosis caseloads, providing assessment, treatment planning and psychotherapy services. Her expertise in the field of social work and her immersion in geriatric mental health makes her a significant addition to LBDRC. *Disclaimer* The information on this website and on our Helpline is provided as a resource for LBD caregivers, but it is not intended as an endorsement of any one product or provider, medication or medical procedure, and is not meant as a substitute for any medical or other professional advice. Our support Helpline is available 12 Hours a day, 7 days a week. Copyright © 2016 Lewy Body Dementia. All Rights Reserved.